The Swarthmore Fire & Protective Association is pleased to announce the Administrative and Operational Officers for 2019! Please join us in congratulating these hard working and dedicated individuals! It is with sadness that we announce the passing of Associate Member John Wesley. He was 78. John joined the Association as an active firefighter on January 11, 1979. In 1998, John transferred to Associate Member status. He held the positions of Director (1983-1985) and Treasurer (1994-1995) in the Association. 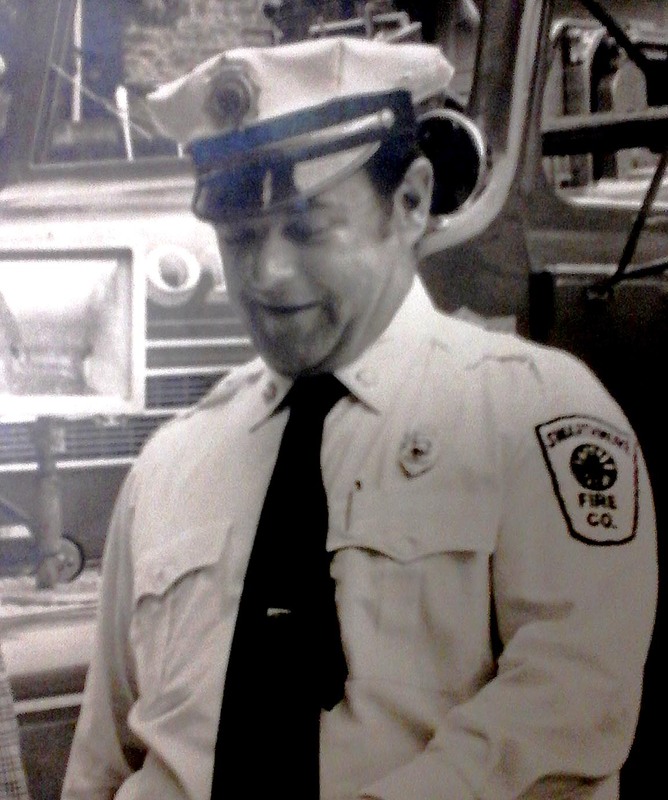 John Wesley was also a dedicated Swarthmore Police Officer and a member of the Springfield Fire Company, later holding the rank of Fire Police Captain. 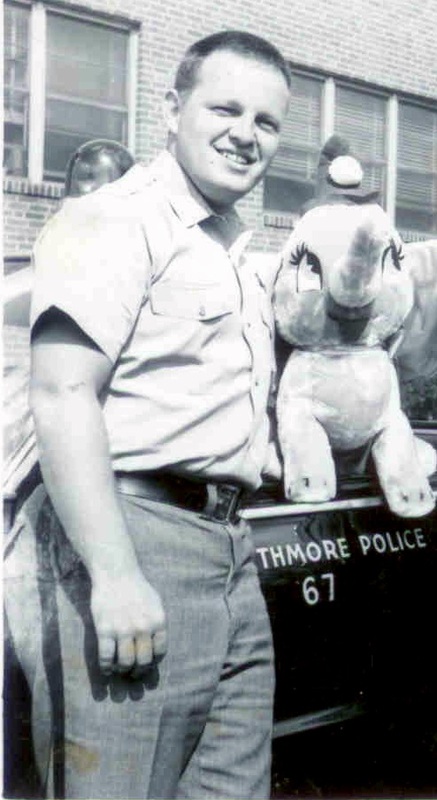 If there was any kind of emergency in Swarthmore, you could always count on John serving as either a Police Officer or Fire Police. A service is scheduled for 12 noon, Saturday, Sept. 5th at Saint Matthew Lutheran Church, 400 Lynbrooke Road, Springfield, PA 19064. Calling hours will be from 9 a.m. to Noon. It is with great regret that we announce the passing of past Chief and Member, Joseph Delozier. "Joe" served from 1962 until his retirement in 1992, 30 years of service. He held many important posts within the Association, from Engineer, to Assistant Chief for many years and then finally as Chief from 1979 until 1983. Joe was elected as an Honorary Life Member by his fellow members in 1977. Joe worked at Swarthmore College's Building and Grounds during his years with the Association. Many of us will always remember Joe responding to alarms on his "scooter" from the College. He was 82. Swarthmore Firefighter Dan Clement demonstrates firefighter's protective gear to the Kindergarten class at SRS on October 18, 2013. Firefighters MacCrone, Luder, and Ben-Ezri-Ravin assisted. Swarthmore F.D. salutes WWII Veterans on their trip back from Washington D.C. visiting the WWII Memorial. The picture shows our Aerial Tower forming a flag arch over US 476 at the PA 320 overpass with other Delaware Co. Fire Companies. June 13, 2013 Great work by all at the fire in one of the Swarthmore College buildings. Thanks to everyone’s efforts, this fire was contained and the damage to the building was kept to a minimum. May 24, 2013 Firefighter/Paramedic Brad Blackman completed the National EMS Memorial Bike Ride in honor of National EMS week. The bike ride took 7 days and went from Rockland, ME to Collingdale, PA.
May 17, 2013 With sadness we report that former President and Honorary Life Member of the Swarthmore Fire and Protective Association, Tom Chew, has passed away. December 24, 2011 The Countryside Market burns despite the best efforts of firefighters from Swarthmore and the surrounding towns. November 4, 2011 Swarthmore Fire and Protective Association hosted an Open House for the community, and were visited by Congressman Meehan. August 28, 2011 Swarthmore Fire and Protective Association responded 41 calls during Hurricane Irene, including 22 basement pump-outs, 8 trees/wires down calls, and 4 ambulance calls! September 27, 2008 the Swarthmore Fire and Protective Association housed its 2008 Pierce Engine and celebrated our centennial anniversary.